Whether you’re midway through a life writing project or playing with a certain idea but unsure where to start, this course will help you explore and establish what it is you want to write about, and how you wish to write it. We will consider how best to record memories and experiences, whether they are your own or someone else’s. Are you working on diaries, letters or testimonies? Are you looking to publish your story in a series of blog posts, or will it become a memoir? We will look at how real events, whether large or small, can be turned into captivating stories. Through a series of writing exercises, we’ll experiment with voice, character, plot and setting, and spend some time studying the work of contemporary writers, asking what approaches they used and why. There will be plenty of time to hear and discuss each other’s work throughout at this listening as well as a writing-oriented course. Helen Jukes is a writer and writing tutor. 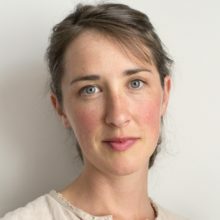 Her first book, A Honeybee Heart Has Five Openings (Scribner), was published in July 2018, and has been praised by authors such as Helen Macdonald, Charles Foster and Julia Blackburn. As a tutor she’s led workshops for the IDLER, Crisis UK and Freedom from Torture, and worked one-to-one with writers at all stages of their careers. She currently teaches on the Creative Writing programme at Oxford University, and lives in the Welsh Marches. 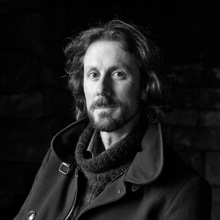 Paul Kingsnorth has eight publications to his name: three non-fiction books, two novels, a manifesto and two collections of poetry. His work includes the award-winning and Booker Prize longlisted novel, The Wake (Unbound Digital, 2015), his essay collection, Confessions of a Recovering Environmentalist (Faber & Faber, 2017), and most recently his second book of poetry, Songs from the Blue River (Salmon Poetry, 2018). As a young man, Neil Ansell spent years hitchhiking around the world, visiting over fifty countries, including two years spent working as a forestry worker in the woods of Sweden. Back home, he has worked with homeless people – and experienced homelessness himself – before working for BBC television, specialising in undercover investigations and secret filming. He is now the author of three nature and travel memoirs detailing experiences such as spending five years alone in a remote cottage without services in the hills of mid-Wales. 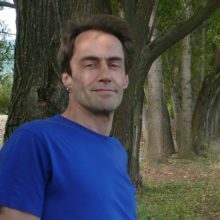 His most recent book, The Last Wilderness (Tinder Press, 2018), was shortlisted for the Wainwright Prize for nature writing.